Bannergrounds or BG’s, are pre-sized digital art banner backgrounds that enable you to have coordinated banners across all of your social media platforms. Formatted so that your book's cover is the focus whether viewed on a tablet, a smartphone, a laptop or a desktop computer, BGs are designed to get your cover the attention it deserves. 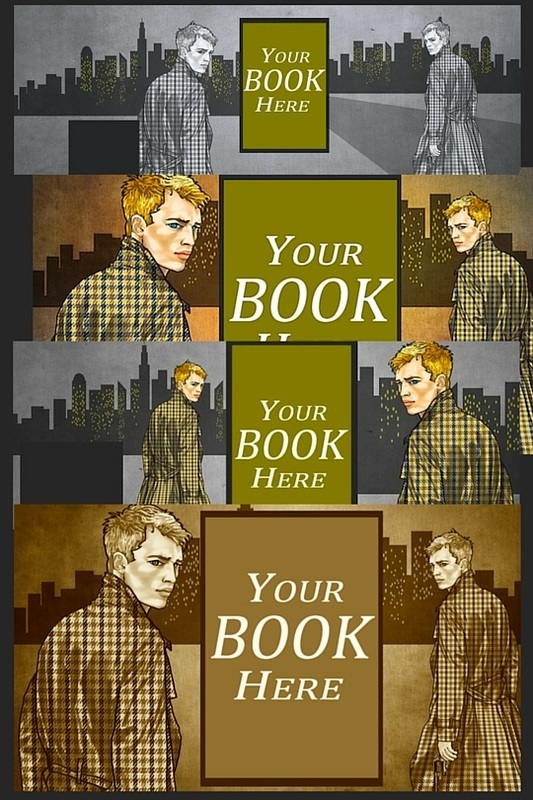 Available in full color, sepia and B/W, our BGs make choosing a complimentary background for your book's cover easy. Custom BGs are available as part of our Character Illustration and E-Cover packages D & E.
Utilize our Custom Digital Design service to make a bannerground that is expressively yours. Premade Facebook, G+ and Twitter single book BGs will soon be available through our Etsy shop.